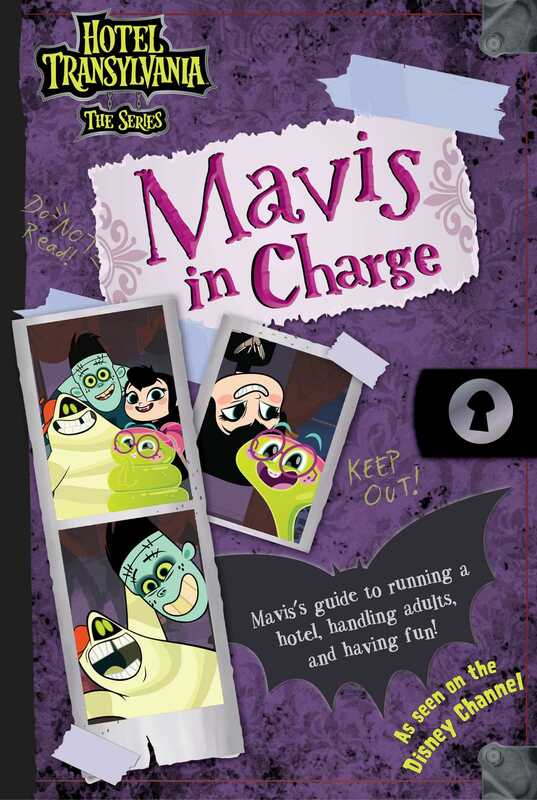 Get an inside look at the funny balancing act known as Mavis’s life through the diary entries, notes, lists, and doodles she keeps in this guidebook inspired by the hit Disney Channel show Hotel Transylvania: The Series. While Drac’s away, Mavis will play…and make sure the guests at Hotel Transylvania have a spooktacular time! Get reacquainted with some of the popular characters from the Hotel Transylvania movies, while discovering new favorites from the television show like Mavis’s friends Hank N. Stein, Pedro, and Wendy Blob—as well as her occasional arch-nemesis, Aunt Lydia, in this creepy, colorful guide! Fans won’t want to miss this awesome guidebook that’s jam-packed with Mavis’s diary entries, notes, lists, and even a few not-so-helpful tips from Aunt Lydia. They’ll love getting a sneak peek into this confident teen vampire’s life as she hangs out with friends, embarks on some wacky adventures, and runs the hotel while Drac’s away.